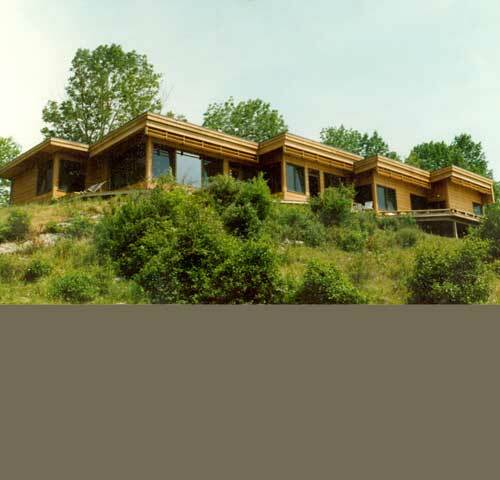 This single family residence is perched directly on a rock ledge overlooking a breathtaking view of the valley below. The view is unobstructed for miles. In fact, airplanes coming into the Rutland Airport fly beneath the line of sight from the south facing deck. The design of the one story structure focused on allowing the owners to experience the views from the main living spaces through the use of large custom built windows. 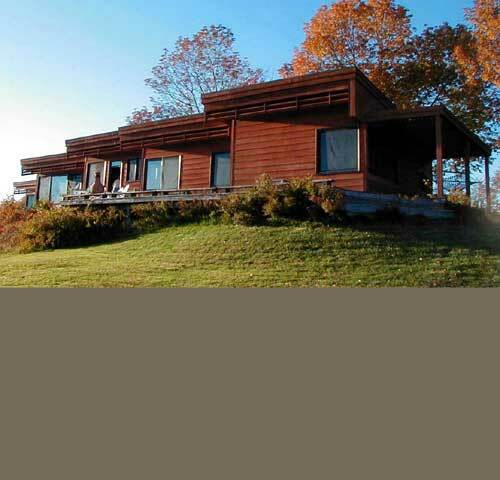 The exterior consists of cedar siding with windows and doors made from mahogany. 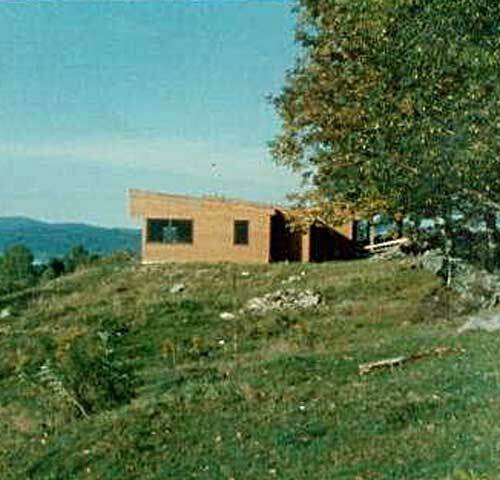 The residence sits in an old farm pasture with stone walls and trees along the fence lines.